The numbers don’t lie: by now we know that Sony’s PS4 has been the star console of this generation, with the Japanese company having shipped more than 60 million consoles to retailers to this day. This is about double the number of Xbox Ones sold to date, so huge has been Sony’s dominance of the market since this console generation kicked off in 2013. And Sony clearly has no intention of relinquishing its lead, rather it’s looking to sell yet more PS4s this year. To this purpose, the Japanese company will be launching a new PS4 Slim variant with a 1 TB hard drive (500 GB is standard fare for the Slim), which will be initially priced at $250 as part of Sony’s “Days of Play” promotional campaign. 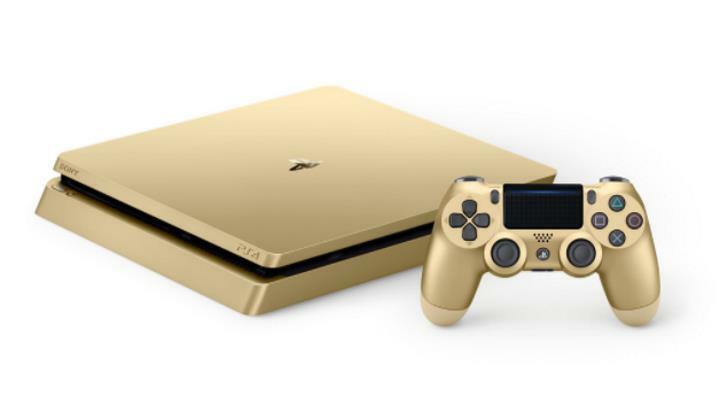 There’s a catch, though, and this 1 TB PS4 Slim variant appears to only be available in a gold colour, which might not be to your tastes. Actually some have found Sony’s choice of colour rather poor here truth be told. Also, according to USA today (via GameSpot), Sony will be marking down all PS4 Slim models to $250 during June 9 to June 17, meaning this discount will take effect before the E3 show kicks off on June 13. And Sony’s profile at the show will surely be bolstered by the fact they are running this promotional campaign, and also that the company plans to show a number of its upcoming games at the show. These include the hugely-anticipated God of War reboot, and also a number of new VR games will be shown off at this year’s event in Los Angeles, which for the first time ever will be open to the general public and not just industry insiders. So those looking forward to get hold of a PS4 or pick up accessories for their console will be able to take advantage of Sony’s promotional campaign in the next couple of days, while everyone surely is looking forward to what the Japanese company might reveal at E3 in what no doubt has been an exciting year for gaming thus far.